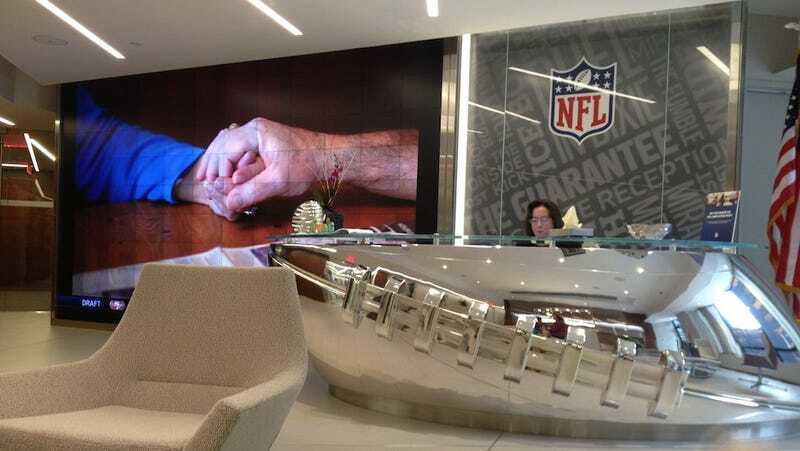 Do NFL Front Offices Have A Thug Problem? It emerged last night that Tom Heckert—Broncos director of pro personnel and former Browns GM—was arrested last month on DUI charges. This comes days after Matt Russell, Denver's director of player personnel, was arrested for his own alleged DUI. Russell crashed into two different cars, one of them a police vehicle. "Executives in our company are held to a higher standard," team president Joe Ellis told a Denver Post reporter. "That's a mandate handed down from the commissioner. One episode is one too many." Chiefs assistant coach Adam Zimmer arrested on a DUI charge. Jets coach Rex Ryan running a stop light and totaling another vehicle. Browns owner Jimmy Haslam investigated by the FBI and IRS on potential fraud charges. Multiple NFL executives asking at least three different prospects about their sexual orientations, potentially violating a number of state discrimination laws. Chargers head physician David Chao, under investigation for just about everything, being barred from two major San Diego hospitals. Why, just this week we learned that the Redskins and former coach Gregg Williams are named as defendants in a lawsuit that claims they "disregarded both criminal and civil laws." What kind of example does this set for our children, the little ones who grow up playing Madden and fantasy sports with dreams of being an executive vice president of football operations; who watch television and think, "That could be me," whenever they see an NFL team's capologist or a quality-control coach? NFL coaches and executives are 7,000 times more likely to be arrested than the average American, according to rudimentary math I did just now without accounting for age cohorts, convictions, or any other relevant piece of context. How are we supposed to tell that to our children? What are we supposed to say? That the NFL doesn't care that its front offices are populated by drunk, law-breaking thugs who, even if they lose their jobs after their arrests, end up with the Bengals just weeks later? Park Avenue has a culture problem. Teams continue to ignore glaring character issues when inking employees to contracts, often rich in guaranteed money. How long will Roger Goodell look the other way as his league takes black eye after black eye?